How Does Age Affect the Cost of Life Insurance? Life insurance rates are determined by such factors as health, length of term and coverage amount. However, an applicant’s age has the biggest influence on the annual premium he or she will pay. Insurance rates go up as a person ages, making coverage more affordable for healthy individuals under age 50 than for older adults nearing or in retirement. Life insurance is available to children as young as a few weeks old. Parents and grandparents who lock in whole life insurance policies for babies and toddlers can achieve a monthly rate that’s as low as the price of a latte. For adults, Whole Life coverage and premium amounts can be fixed for life, and can accumulate cash value in the long-term. For example, a Whole Life policy1 from Gerber Life, builds guaranteed “cash value” over time, as long as premiums are paid, and offers individuals 18 to 65 years old a choice of coverage amounts from $25,000 to $150,000. Alternatively, Term Life insurance offers very low monthly rates compared to the amount of coverage. Also, some Term Life policies, such as the Gerber Life Term Life Insurance Plan2, let individuals pay a fixed premium. This means that, throughout the duration of the policy (or the “term”), the rate never increases. For example, individuals 18 to 70 years old have a choice of a 10-, 15-, 20- or 30-year Term Life policy and coverage amounts of $25,000 to $150,000. Health is a primary factor in determining insurance eligibility and rates, so many insurers offer preferred pricing for a healthy non-smoker with normal weight, cholesterol level and blood pressure. 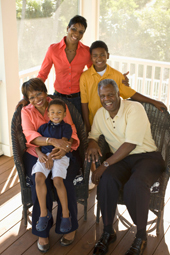 Rates can be reduced further by shortening the duration of Term Life insurance to 15 or 20 years instead of 30 years. The purpose of life insurance coverage is to protect dependents who rely on a covered individual’s income for day-to-day living expenses. As children grow older and become financially independent, many adults require less coverage than they did when children were young or living away at college. Their lower coverage needs and a growing retirement fund often offset rising premiums associated with age.